Download 3D models and Tutorial for free. 3Dfiles.blogspot.com is updated daily so you can check up every day for new 3D models and Tutorial! 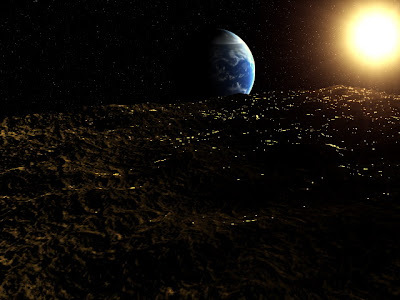 In this tutorials you will learn how to create Space scene with Eart, Sun, and stars. You will use light and effect tehnics to create Sun. Here you can find maps used for Earth.